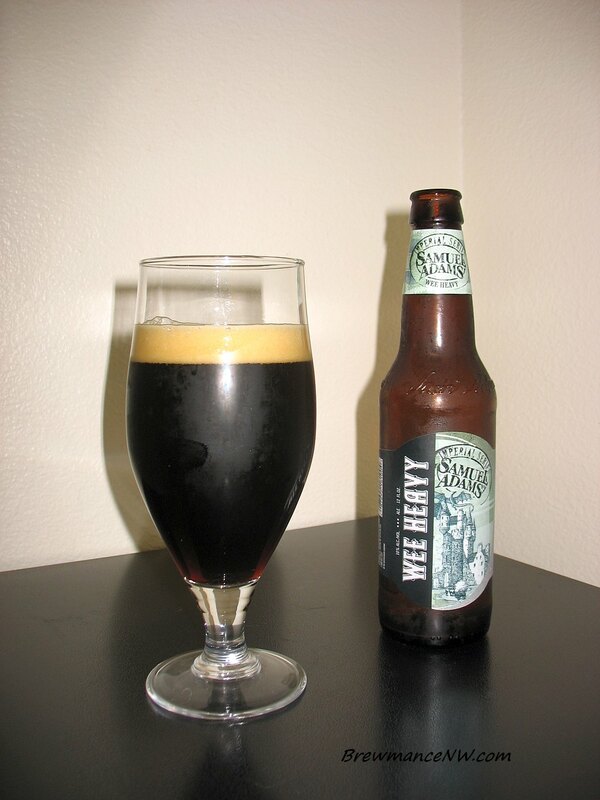 "Samuel Adams Wee Heavy was inspired by both traditional Scotch ales and Scotch whiskies, for a combination of deep roasted flavor and earthy smoke character. 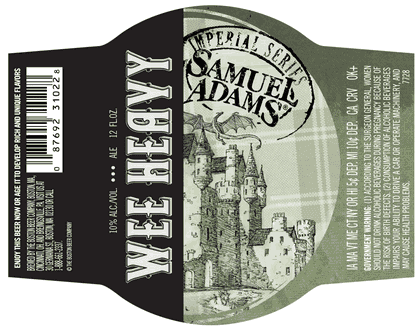 Traditional Scottish ales vary in intensity with the strong ales known as Scotch Ale or “Wee Heavy”. To create our own version of the style we added peat smoked malt to bring the unique flavor of Scotland to this complex and satisfying brew. To achieve the dark and slightly sweet flavor for this brew, we use a variety of malts including a peat smoked malt only found in Scotland that is the signature ingredient of their scotch whiskies. Although this malt may not be used in classic Scottish ales, it imparts the aroma and flavor of the region that we wanted to bring to this brew. To achieve that flavor, the malt is smoked over peat giving it an earthy and smoky character that adds a layer of complexity to the beer. This is the same malt that we use in our Samuel Adams Scotch Ale, here in the Wee Heavy, it adds depth and complexity to the intense malt flavors. These malt flavors are developed as the beer goes through a long cold aging, different from most ales. With a low hop bitterness the resulting beer is a big, complex, and warming. 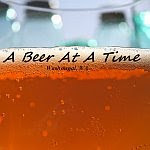 The beer will also develop with age as the flavors deepen and soften. Flavor: Intense and full bodied with a deep roasted flavor, subtle sweetness, and earthy smokiness from the peat smoked malt.